CheapOair, a leading flights-focused, next generation concierge travel service, released the company’s holiday campaign kick-off video today concurrent with Giving Tuesday. 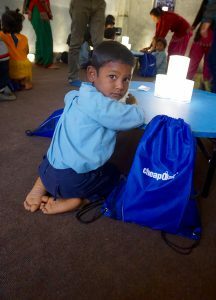 The video, titled “Give to New Heights,” highlights CheapOair’s recent philanthropic partnership with Kids of Kathmandu, a non-profit organization helping to rebuild schools in Nepal’s most earthquake devastated areas, to deliver solar-powered lights and school supplies to children in the remote region of Timal, Nepal. CheapOair provided funding for transportation, logistical support and manpower to deliver over 1,000 Luci® lights provided by MPOWERD, Inc. for the grand opening of Kids of Kathmandu’s first of 50 re-built schools. The children from the local village gathered at the school at dusk for an unknown surprise to find their new school building illuminated for the first time. Each child was also given an individual light to take home, a backpack, personal white board, water bottle, and toy airplane. The video kicks off CheapOair’s month-long holiday campaign focused on recognizing people who go above and beyond to give back to their families, neighborhoods or communities in special ways. During the campaign, people can nominate friends or family they think deserve special recognition for their spirit of giving. CheapOair will then select a winner each day through December 24, 2016 to receive a $50 CheapOair gift card. CheapOair has a longstanding commitment to helping communities in need through charitable donations and volunteer work. The company is always seeking out new opportunities to get involved with charity organizations both at home and abroad. CheapOair and OneTravel have launched a co-branded credit card program with Synchrony Financial (NYSE: SYF) just in time to book holiday travel. This is the first credit card program from an online travel agency to include a special financing offer1 to help manage the cost of travel. In addition to earning points faster on all CheapOair and OneTravel purchases, Visa credit cardholders will earn 4 points for every $1 spent on dining purchases and 2 points for every $1 spent on all other purchases wherever Visa credit cards are accepted. CheapOair and OneTravel operate with a business model that bridges the gap between an online travel agency and a traditional travel agency by providing convenient online booking capabilities, as well as a 24/7 personalized trip booking experience. Travelers around the world can find and book their perfect trip on CheapOair or OneTravel’s websites, mobile and tablet apps, and by calling one of thousands of trained travel agents in multiple countries and in multiple languages. Fareportal provides access to more than 450 airlines, 200,000 hotels and hundreds of car rental agencies worldwide. CheapOair is a flights-focused hybrid travel service that enables consumers to book online, on mobile apps, by phone, or live chat. CheapOair (http://www.cheapoair.com, 1-800-566-2345) bridges the gap between an online and traditional travel agency with certified travel agents available 24/7 to help find deals and offers to destinations worldwide on over 450 airlines, 150,000 hotels, and 100s of car rental companies. Partner airlines benefit from access to CheapOair’s broad customer base that books high- yield international travel and add-on ancillaries at above the industry average. Follow CheapOair on Facebook and Twitter to learn how to travel the world for less. OneTravel is a leading online travel booking site offering travel deals for today’s savvy traveler looking for quality and value. Launched in the mid-nineties in a barn in Pennsylvania, OneTravel is now recognized in the US and internationally for providing one-stop shopping for all travel needs: millions of cheap flights including business and first class, hotel deals, car rentals and cheap vacation packages to top destinations throughout the world. For the best value in travel visit OneTravel.com, or call 866-794-6049. Synchrony Financial (NYSE: SYF) is one of the nation’s premier consumer financial services companies. Our roots in consumer finance trace back to 1932, and today we are the largest provider of private label credit cards in the United States based on purchase volume and receivables. * We provide a range of credit products through programs we have established with a diverse group of national and regional retailers, local merchants, manufacturers, buying groups, industry associations and healthcare service providers to help generate growth for our partners and offer financial flexibility to our customers. Through our partners’ over 350,000 locations across the United States and Canada, and their websites and mobile applications, we offer our customers a variety of credit products to finance the purchase of goods and services. Synchrony Financial offers private label and co-branded Dual Card™ credit cards, promotional financing and installment lending, loyalty programs and FDIC-insured savings products through Synchrony Bank. More information can be found at www.synchronyfinancial.com, facebook.com/SynchronyFinancial, www.linkedin.com/company/synchrony-financial and twitter.com/SYFNews. *The Nilson Report (May 2016, Issue # 1087) – based on 2015 data. *Predicted fares are based on historical data and trends since 2010, and include fuel surcharges, service fees, and taxes for round-trip, domestic travel departing between 12/22 through 12/24. CheapOair, a leading flights-focused, next generation concierge travel service consisting of a traditional travel agency with a digital front end, has released predictive data on when consumers can get the best deals on their holiday airline tickets. For the upcoming December holiday season, CheapOair predicts that travelers can save up to 15% on flights if booked November 7th through November 9th. Delay the purchase any longer and prices could rise up to $60 more per ticket. 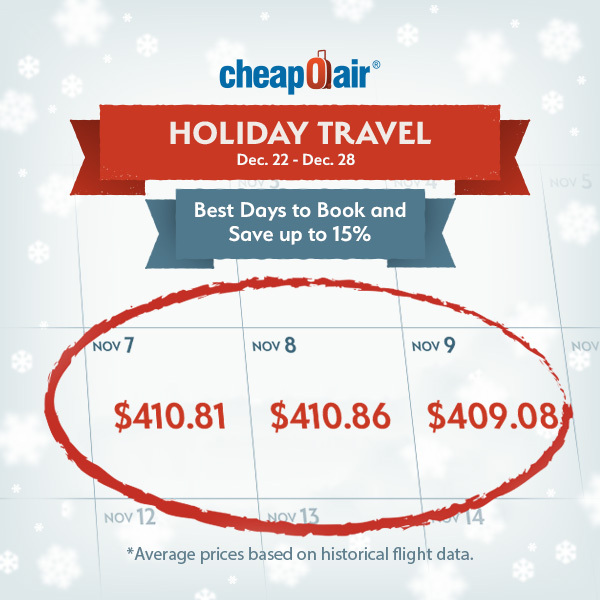 According to CheapOair’s data, average ticket price for round-trip, domestic airfare over these three days is predicted to be $410.25. Beginning November 10th, prices steadily increase through the end of December and reach an average price of $471.93*. While this predictive model has historically been accurate within $10, fares may vary by route and travel dates. Fareportal, a high-tech, high-touch travel company that powers CheapOair, a next generation travel concierge, is ranked among the top digital technology companies based in New York City for 2016. The list was recently issued by Built in NYC, an online community that creates and curates exclusive content on local startups, hosts local events and publishes data on the New York City tech sector. This year’s list includes technology companies from all sectors including B2C, B2B, E-Commerce, Software Development, Web Design, and Digital Agencies. Fareportal is a high-tech, high-touch travel company that powers the next generation travel concierge. 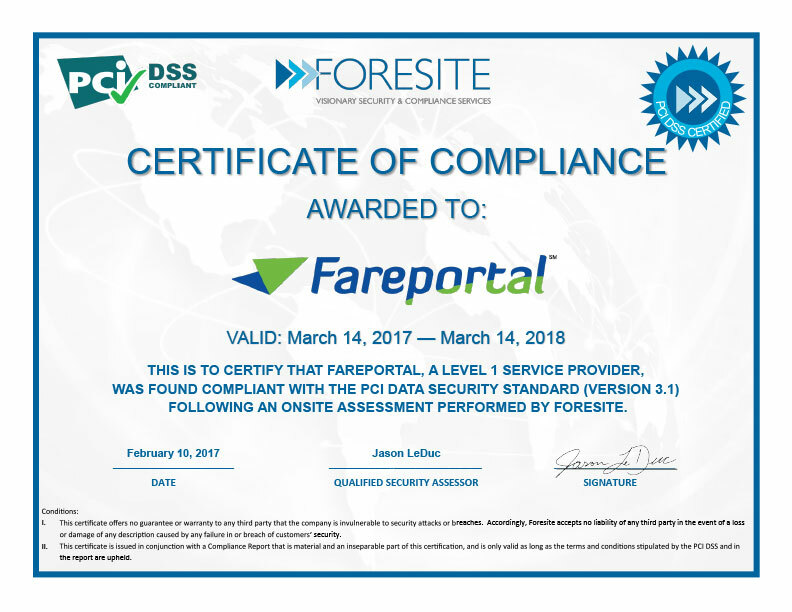 Utilizing its innovative technology and company owned and operated contact centers; Fareportal has forged strong industry partnerships providing access to over 450 airlines, 150,000 hotels, and 100s of car rental companies that serve millions of customers every year. To learn more, visit http://www.fareportal.com/.